How To Install Schema.Org Markup On Blogger Menu System | BloggersStand ';-1!=b.indexOf("img.youtube.com")&&(a=' ');d=a+''+p+''+titlex+"
In the above image you can see that all good with right tick that means everything is working smoothly.And look in above image you can clearly see that there is showing site navigation elements (2).It's displaying two because we have two website navigation menu installed in our website,if you have one then it will display one site navigation element in google structured data testing tool.So you must add or create schema.org markup on blogger menu/navigation in order to help google search engine result to understand your markups for menu.To Add schema.org markup on website menu you must follow the steps below. Step 3. Now Search for the <nav id='topnav'> tag this is the most common used tag for navigation menu,if it's different in your case just replace with your menu tag. Step 4. Now Replace <nav id='topnav'> with the below Schema.org markup, points to remember if your menu tag is different use that. you can see in above code snippet we have added schema.org markup in it. Step 6. Now Save your template.Done ! 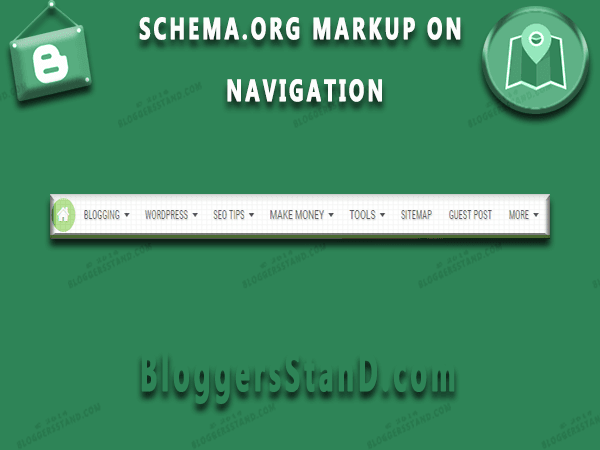 tutorial on adding schema.org markup on blogger website menu navigation.learn trick to add/create blogspot menu navigation with schema markup website.verify on google structured data testing tool. 0 Comments on "How To Install Schema.Org Markup On Blogger Menu System" So Far - Post Yours!